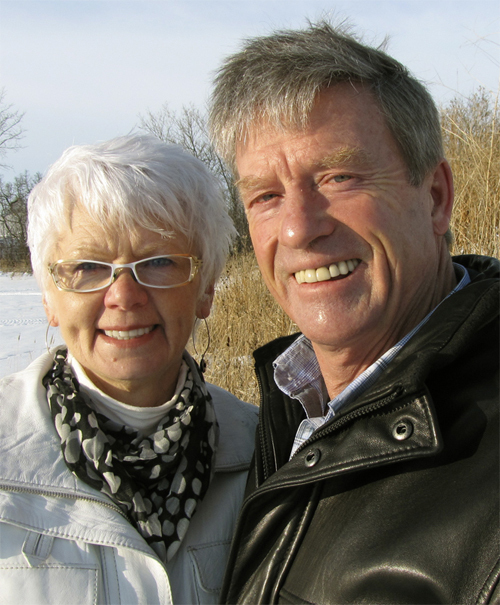 Webber’s Lodges founders Doug and Helen Webber. Webber’s Lodges has earned its reputation as “Manitoba’s Most Trusted Outfitter” honestly over the past 45 years. We are from the north, we love it up here, and we want our customers to feel the same way we do when they take part in a fishing, hunting or wilderness adventure with us. 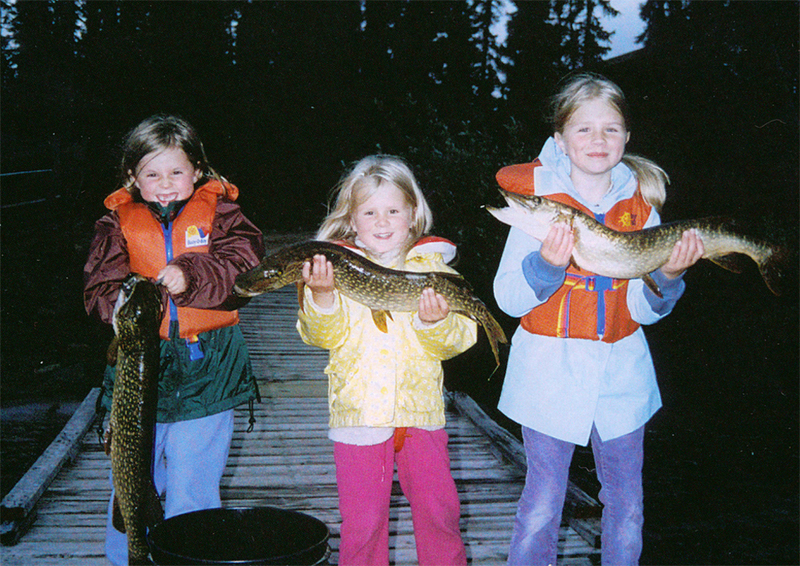 Our founders Doug and Helen Webber, along with daughters Jeanne, Toni and Shari, their partners, children and grandchildren, have built an international reputation for exceptional customer service, fabulous food and world-renowned fishing, hunting and ecotourism destinations in Manitoba. The tradition continues today, as guests continue to return for repeat visits, some even decades after their first visit. Helen’s family connection to the north goes back over 85 years. Her father Fred Martin, along with his future brother-in-law Oscar Sigurdson, established a trading post on the Maguse River in the Northwest Territories in the late 1930s. In 1941 Helen’s parents married and her mother Sigrun made the 240-mile move to the trading post from Churchill via dogsled and boat. In the 1960s Doug and Helen Webber started both a family and business together, Webber’s Lodges, and their daughters contributed to the operation from the moment they could — expediting, hauling building supplies, cooking, cleaning, conducting guest mail outs, fueling aircraft, and much (much) more. It’s been a long journey from our first hunting/fishing offering, which was based out of a lonely canvas-covered Quonset hut on Dymond Lake 30 km north of Churchill in 1967. In 1972 Doug bought out his first partner and turned that property into what is now a luxury lodge at Dymond Lake. In 1973, Doug made his first foray into the Manitoba guided fishing business at South Knife Lake, and in 1975, he obtained the necessary permits to begin construction of North Knife Lake Lodge. The establishment of North Knife Lake Lodge made the Webber family the pioneer of 5-Star Fishing Lodges in Manitoba. When North Knife Lake Lodge was originally built it was quite rustic, but due to the changing demands of clientele, it evolved into a luxurious destination with upgraded accommodations and amenities. North Knife Lake Lodge was one of the first lodges in Manitoba to implement a policy of barbless hooks, and Doug was involved with the Manitoba government in promoting the “Go Barbless” fishing campaign and creating legislation to that effect. Doug was also the first fly-in lodge operator in Canada to implement consistent solar and wind generation technology at all the family lodges, resulting in a 75% reduction of fossil fuel consumption and noise pollution over the last 40 years. His commitment to the environment has inspired both guests and fellow lodge owners to respect the pristine landscape surrounding their lodges and out camps. The Webber family has been responsible for, or involved in, the development of 12 separate lodges and outpost locations in Manitoba and has hired, trained, and mentored countless students, aspiring guides, bush pilots and First Nations peoples. The Webber family has maintained an unwavering commitment to sustainability and responsible tourism practices that began long before they became industry norm, beginning with recycling, composting, water conservation and flying out garbage to licensed dump sites in the 1970s, to on-site gardens, raising chickens for eggs and the use of local foods. Blueberries & Polar Bears Cookbooks. 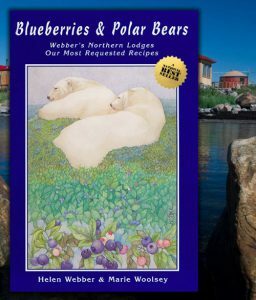 The imaginative use of local foods was a major factor in the creation of the delicious recipes found in Webber’s Lodge’s award-winning cookbook series Blueberries & Polar Bears, which has now sold over 100,000 copies. Co-authored by Helen Webber and Marie Woolsey, the guest-tested and approved recipes in these books now form the basis of the delicious culinary creations served at the lodges and outcamps to very happy hunters, fishermen and guests. Doug has served the Manitoba tourism industry in numerous different capacities over the past five decades including: Manitoba Lodges and Outfitters Association (MLOA) President; Mayor of Churchill (1990-1996); Board member for the Canada/Manitoba Tourism Agreement; and member of the Northern Manitoba Sustainable Economic Development Commission in 1991-92. He has also been an active member of the Churchill Chamber of Commerce since he first began operating Webber’s Lodges. He has been directly involved in the Manitoba tourism industry as a goodwill ambassador; has worked with Thompson Spirit Way to develop a Thompson/Churchill connection for the benefit of both communities; and has raised the bar for quality of service and accommodations with regards to offering guests memorable, value-added experiences. The Webber family has played an integral role in the development of Manitoba hunting, fishing and ecotourism products for over 45 years, and have set industry benchmarks for service and quality, always focusing on continuous improvement of their products and facilities. 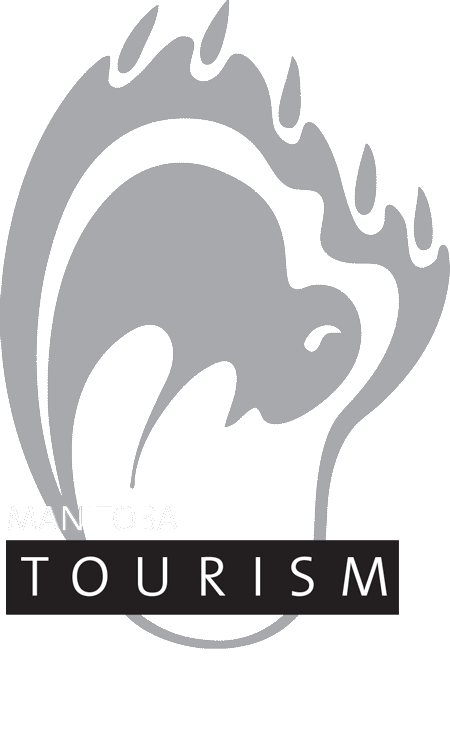 In recognition of his and his family’s efforts, Doug was honoured by Travel Manitoba with the Winnipeg Airport Authority Award of Distinction at the 2012 Manitoba Tourism Awards. 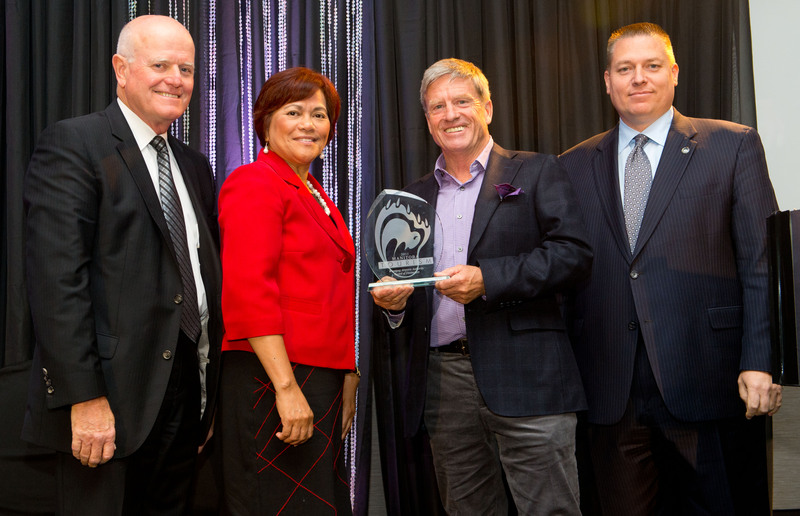 Doug Webber (2nd from right) receives Travel Manitoba Award of Distinction. Excellent hunting and fishing in one of the wildest environments on the planet, combined with exceptional customer service and great food, have kept guests, businesses and some very large family and corporate groups coming back to Webber’s Lodges for decades to enjoy some of the most beautiful wilderness on the planet. Numerous family members, including children and grandchildren, continue to develop and enhance the fishing and hunting experience at Webber’s Lodges, as well as at additional family-owned ecotourism properties throughout the north. Doug has now been able to step back and take on more of a supporting role as an advisor and consultant, offering ongoing marketing and operational support, while continuing to bring a wealth of knowledge and insight to the development of new tourism products, based on experience, adventure and fond memories. Webber’s girls. Early days at North Knife Lake Lodge. “I could never have done any of this without the help of my family,” said Doug. “They’ve been with me every step of the way from that very first summer. Everyone helped out every season. They’re the main reason for our success and for our repeat customers over the years. All of our lodges are family-run and many of our guests appreciate that.